There is a wealth of content on the App Store for teachers to make their jobs easier, lessons more engaging and bring new learning experiences to the classroom. Some apps and websites are wonderful and some are so complex to use that it’s not worth our time using them. Here is a list of websites and apps that I use on a regular basis and how I use them. Our school has bought a subscription to Show My Homework and it is a great tool. Not only does it help with setting and tracking homework. It can also work as a means to provide written feedback and track and monitor progress. Parents and Pupils can log in and check homework too, as well as see feedback. I personally love the grade-book feature so I can easily track grades for reporting. I have written about Plickers before. But basically it is a website and app whereby pupils use QR codes to answer questions. It is very similar to Kahoot but doesn’t require pupils to have phones or data. This makes it a little more inclusive I feel. It’s perfect for both assessing pupils knowledge as well as getting instant feedback on how pupils are feeling about topics or other self assessment. Into Film is a fantastic resource for media education. If you are covering a certain topic and looking for a media clip to compliment it, IntoFilm have some great resources. There is a really easy to use search function for a wide range of resources. I am a massive advocate of using film in education if it is done in the right way. It needs to be done in a way the compliments the learning not a substitute for learning. You need to do something with the film whether it is a literacy task based on reviewing it or discussions based on the film itself. Furthermore I run a Film Club in school which is supported by IntoFilm. Mrs Mactivity is a relatively new website that provides a whole host of resources. It is mainly aimed at primary school aged children but there is a good range of tasks for pupils who require Additional Support as well. Some resources are free whereas others are paid resources. There is also a superb blog that provides some great ideas for activities too. 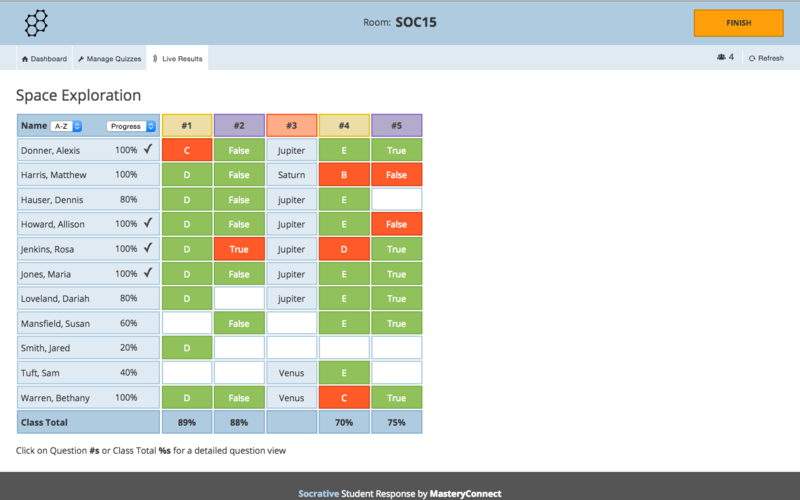 Socrative is another app/website that can be used for assessment. You can download a template or type in questions in the site. You then invite your class to the test using a code. The thing I like about Socrative is that you can set a range of open and closed questions and add images. You can have a teacher paced lesson or a student paced lesson. It does require all pupils have access to a computer or the Socrative app. I like to use it for end of unit assessments. It takes the stigma of some pupils requiring to use ICT by having everyone complete the task on ICT. The other thing I like about it is that it formats tests really nicely when printed so if you needed to you can print off some of the tests too without having to add lines to answer the questions. You can also print a grade book that can easily track pupils and their answers. Canva is a really simple to use Graphic Designer. You can sign up for a free version and there are tons of templates to use to make fancy looking posters, worksheets or personal planners or timetables. Most of the posters I make I use this site. It would also be a great teaching tool instead of getting pupils to make Powerpoints or Word Documents get them on Canva. It is simple to use and there are loads of free resources and help guides. Why not use it to jazz up your walls! The below posters were all made on Canva. 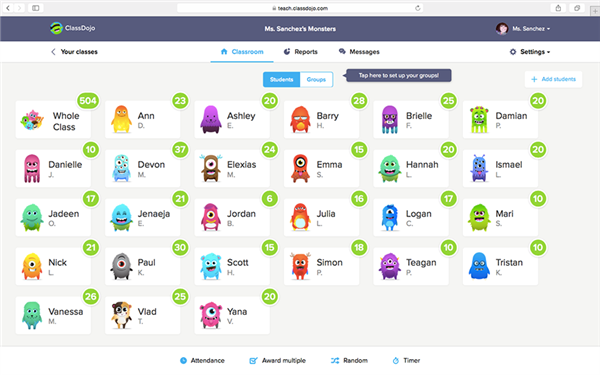 I use Class Dojo on and off with some junior classes. Although it is mostly aimed at primary school aged children I have found it super effective with some challenging classes as an instant method of praise and promotion of positive behaviour. Basically each pupil is given a wee monster and you can award it points for various traits or take points away if need be. I try to praise positive behaviour rather than pupils going into minus. There are also other really handy tools like random student picker and groups picker. It is very visual and I think that’s why kids love it. Again there is an app meaning you can use it on an iPad or phone too. App Shed is a little more complicated and takes time to work out. It is best used with older classes I think. Basically it equips pupils with the skills to build their own app. I have used this as a formative assessment at the end of units asking pupils to show off their knowledge by building an app. I would suggest you have a good play about with it first and make sure you are confident with how different functions work before trialling it with a class but it could be super effective at engaging pupils. Sway is part of the Microsoft Package which is available online. The best way to describe Sway is like a fancy Powerpoint. It is like Prezi but easier to use! You can create presentations, add in embedded videos, links and images and it flows really nicely especially if you are using a interactive whiteboard. I love how you can upload documents into it and it reformats it to make it more interactive. Furthermore you can print out hand-outs from the information as PDF files. I use it to create unit of work on, adding in images and videos where appropriate and tasks. Then when complete I can just download the pdf hand-out and print that instead of having to make separate PowerPoint’s and booklets/ worksheets. I would warn you it takes a little getting used to but once you do get used it, you’ll never make a Powerpoint Again! This has worked to varying degrees. One year I trialled not printing out any booklets or notes and instead had everything on a Microsoft Classroom. It meant that pupils where more collaborative and when sharing a class both teachers could see what was happening. This takes initial buy in from students and a lot of time invested to begin with. However when it does work it is really effective at having all information in one place being able to give feedback easily and helping those pupils who struggle with organisation a little help. I have also worked in schools that have used Google Classroom which is similar but requires a school to subscribe. Microsoft Classroom is available to all Scottish Schools through Glow. There we have a list of 10 apps that I find useful. I am still looking for a good teacher app that can help with forward planning instead of the good ole’ teacher diary so if anyone has any advice of websites or apps I could use that would be great. If you have a favourite app or website that is not on the list – please comment! I love trialling new things out!